In his latest guest blog, Joe Topinka, an award winning CIO, author, and Board Chair of the BRM Institute, offers an updated definition of the CIO role, and a four-point description of the “leadership mindset”. The fourth industrial revolution has ushered in a new era of change. Experts like the World Economic Forum say that it has no historic precedent in terms of its velocity, scope, or impact on everything in our lives. It is defined as exponential change, as opposed to the linear changes of the first three industrial revolutions. For businesses of all kinds, it means living in a world of constant change. The impact is already being felt in IT organizations and virtually every other business function. Change is the one constant we must learn to love and master. IT has been an early harbinger of change in this era. On-premise enterprise business suites are moving to the cloud, bots are answering routine call center interactions, and next gen cybersecurity solutions rely on artificial intelligence and machine learning to keep our companies safe. The implications to IT organizations are significant. In the past, we relied on the design-build-run model to make our way within companies. Future organizations will be driven by what I call "the people-powered organization". At BRM Institute, where I serve as Board Chair, we have long been a proponent of building the right relationships with business units and customers. Market forces are tearing down traditional silos within companies. Cross-functional teams with a common mission are the key to meeting the evolving needs of customers. Teams that understand how all aspects of an operation can shape customer engagement outperform those that don’t. Every function contributes. Picture a customer researching a product or solution online, shopping on her mobile device, buying the product, and then receiving real-time updates on her package’s whereabouts. Every part of the organization shapes customer engagement in some way. I think of this new people-powered framework as the Collaborate-Integrate-Orchestrate model – effectively the new CIO. Collaborate – Hyper-focused, customer-centric collaboration will take place across the company. Coupled with their understanding of customers and the company strategy, IT will partner strategically to deliver solutions that meet the customer needs and drive company strategy. This new type of strategic partnering requires solid knowledge of the cloud offerings landscape and a keen sense of what it takes to deliver solutions that drive business value. This as a kind of borderless operating model that requires departmental walls to come down, and teams to work together to get things done. In the companies I work for, we teach BRMs how to facilitate and drive this new converged-team operating model. Integrate – With an expanding list of cloud offerings, IT organizations must integrate and deliver a cohesive end-user experience across internally-based and cloud-based systems. Integrating business solutions will take on an increasingly important role in next generation IT organizations. At the same time, harvesting meaningful information from this disparate ecosystem is critically important. Data-powered companies depend on well-architected information solutions that drive customer engagement and marketing activities. 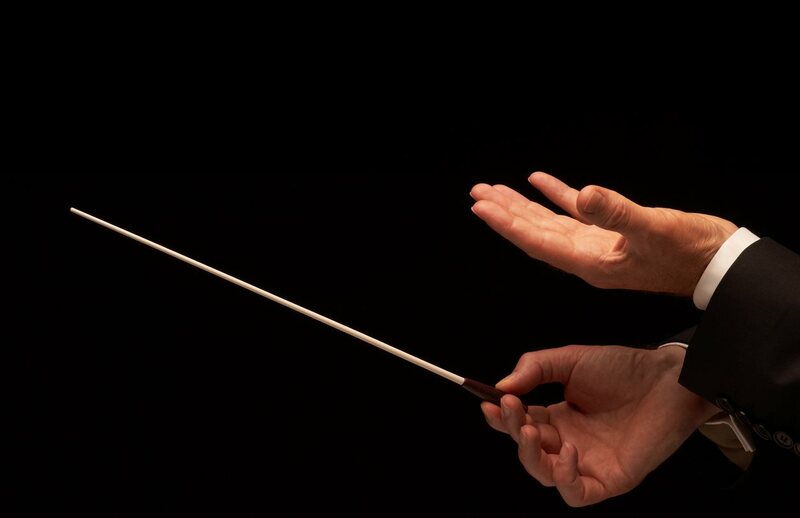 Orchestrate – In the past, IT organizations celebrated when new business systems were successfully implemented. In the next gen IT organization, that won’t be enough. Savvy executives increasingly expect IT to measure business outcomes promised by the new system. Quantifying business value will become a core competency for the next gen IT organization. What isn’t changing in this new world is the expectation that IT keeps all systems humming along while keeping company assets safe and secure. Cybersecurity is a bigger challenge that ever before and cyber criminals continue to up their game. Over the years I have come to learn, sometimes the hard way, that embracing change is as much a mindset and attitude than it is anything else. I’ve had some great mentors throughout my career and one of the key lessons I have learned from them is that successful people adopt a leadership mindset. You are intentional when it comes to taking on projects and new initiatives. Make a choice to commit yourself to whatever you take on. You know that it is very likely that you will encounter roadblocks along the way – and when you do, find a way to navigate around them and succeed anyway. You accept that you own the results of your teams’ efforts – both the good and the bad ones. You commit to learning from your mistakes, and you have the attitude that each time out, you expect to get a little better. It seems simple – and it is. Just believe in the leadership mindset and embrace it every day. For the teams I lead, we adopt what we call our “rules of engagement” to keep us on track. These are a set of guardrails that remind us to hold each other accountable to a higher level of performance. Assume Positive Intent – If you start every engagement assuming the other party means no harm - it changes the dynamic of the conversation. You become more approachable and the conversations become more productive. It’s an attitude that we call the Human API. Support it, Don’t Debate it. – When your company asks for input on a decision, provide it. Once the decision is made, recognize that the time for debate is over and move things forward by implementing the decision without argument. The company needs your help to make things happen. It doesn’t matter if you agree with the decision – what does matter is that you proactively support the decision once it is made. Listen First – It is so tempting to start formulating a response to someone before they are even finished speaking. Resist the temptation though, so you can really listen to the other person. Give them a chance to air their thoughts before you start yours. That’s what successful teammates do for each another. The impact of change is real. It is affecting each of us and the companies we work for. Collaboration and cross-team efforts will be the name of the game when it comes to driving value and customer engagement. More cloud-based solutions, artificial intelligence, and robotics process automation will continue to shape our worlds. To pave your way forward, adopt the Collaborate-Integrate-Orchestrate model to drive measurable results. Hold yourself and your teams accountable by developing your own rules of engagement. And finally, adopt a leadership mindset. When you do, I know your path forward will be more enjoyable, less frustrating, and filled with success.